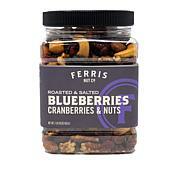 599-222 Ferris Coffee & Nut Co. 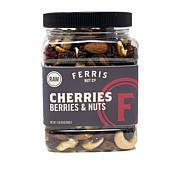 Whether you're running late for work or running on fumes from a long day, grab one of these quick snacks on the go. 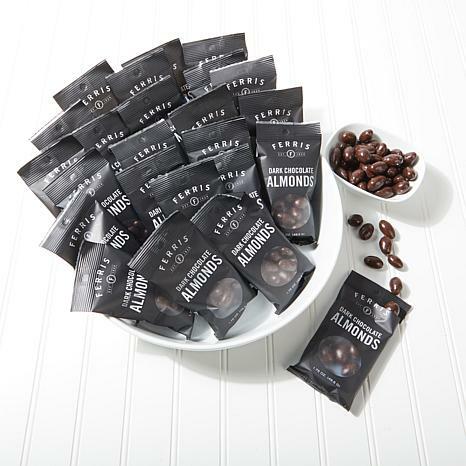 Roasted almonds are generously coated in a smooth layer of delicious dark chocolate. Briefcase-, lunchbox- and purse-friendly, they're perfect for late morning snacks or coffee break accompaniments at any point in your busy schedule. Ingredients: Dark Chocolate (Sugar, Chocolate Liquor, Cocoa Butter, Anhydrous Milk Fat, Soy Lecithin [An Emulsifier] And Vanilla), Almonds, Gum Arabic, Corn Syrup, Sugar And Certified Confectioners Glaze (Food Grade Lac Resin). 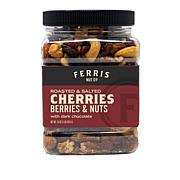 Love when a product comes in individual packs... so easy to control snacking... sent these to family for an addition Easter treat... loved them, and got rave reviews from everyone they shared them with... a winner!! !